HealthVit Biotin 10,000mcg Maximum Strength 60 Capsules For Hair, Skin & Nails helps in maintaining healthy hair, skin and nails. Energy metabolism is promoted with the regular intake of the product. 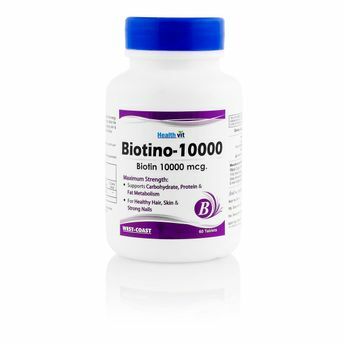 Biotin is effective in thinning of the hair or loss of hair colour. Capsules helps to strengthen brittle nails. Capsules For Hair, Skin & Nails helps in maintaining healthy hair, skin and nails. Energy metabolism is promoted with the regular intake of the product. 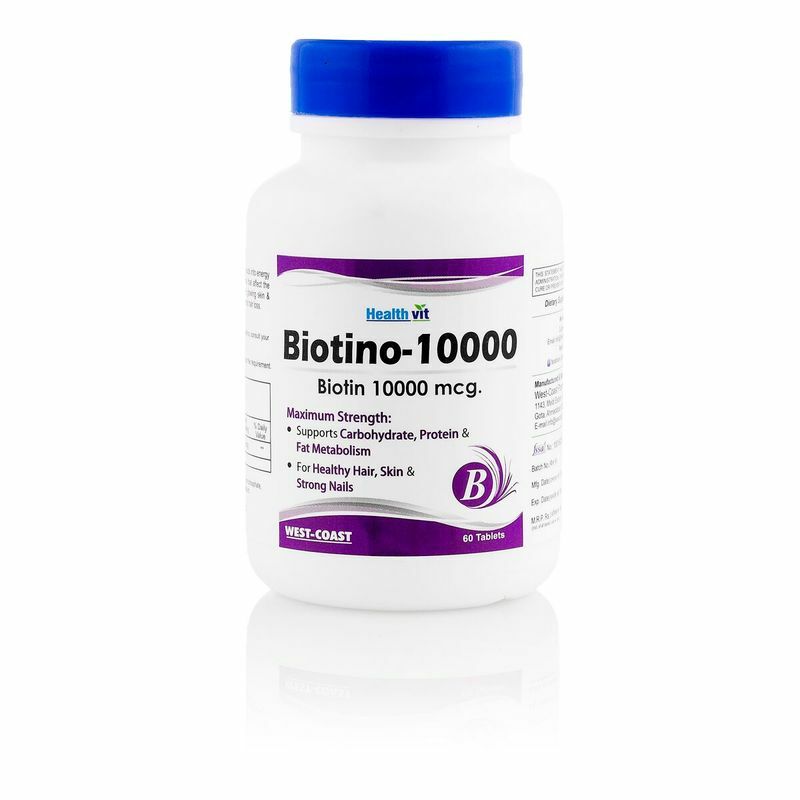 Biotin is effective in thinning of the hair or loss of hair colour. Capsules helps to strengthen brittle nails.